In 1956, Sutdio BBPR used the shape of medieval Lombard fortresses and towers to build Torre Velasca, which became the tallest building in Milan, as a way of propelling Milan, and Italy, into the future while asserting its rich tradition and past. In the same way, BBPR created innovative and unequivocally modern designs, that were uniquely Italian and used all of the traditional crafts of the Brianza region of Lombardy. 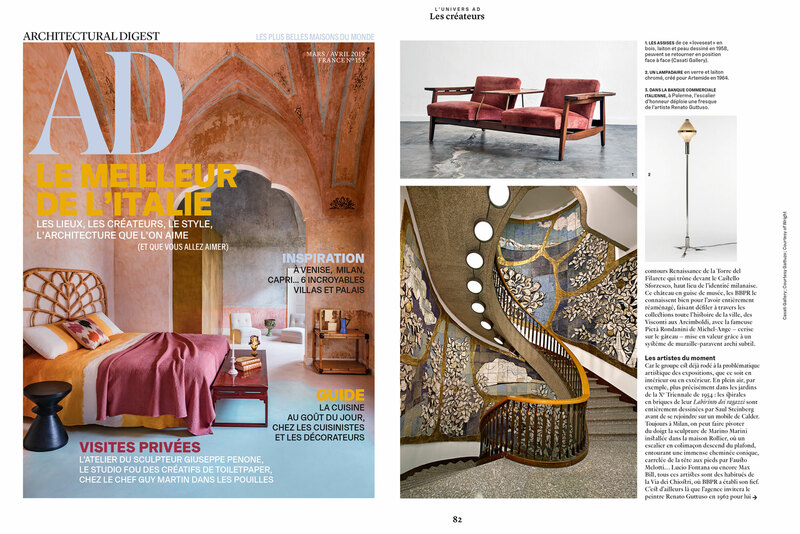 We invite you to explore this article at www.admagazine.fr and learn explore some of Studio BBPR’s architectural and furniture designs.